Beer has branched into a broad spectrum of styles, each having its own unique character, flavor, and sensory profile. Accurately describing this increasingly broad range of sensory experiences is essential for product consistency, innovative product development, and clear communication between the industry and consumers. 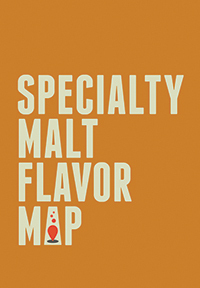 Our latest tool, the Beer Flavor Map, Second Edition, helps you achieve this. The result is an intuitive guide for identifying and describing the wide range of possible beer flavors, an up-to-date reference accounting for the latest advances in brewing and sensory science; and a value-priced tool that can be easy distributed throughout an organization. Brewing professionals can use it to better describe the new and desired flavors for their latest brands, as well as accurately describe the beers they are evaluating. Sensory panelists can more easily describe their flavor experience, allowing them to troubleshoot flavor-related problems and hone in on specific desirable attributes. Bar owners and retailers can display the map in their establishments to help patrons describe what they are looking for in a beer—and spur patron-staff conversations about beer flavor. 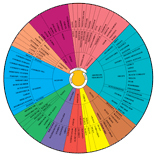 Beer consumers and enthusiasts can use the map to learn the beer sensory lexicon and better describe the flavor/sensory attributes they find pleasing and displeasing. Students aspiring to become sensory panelists and brewing professionals will develop industry-standard vocabulary and knowledge to succeed in school and at work. 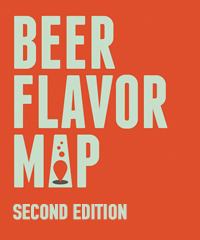 The Beer Flavor Map, Second Edition is an indispensable tool that is driven by flavor, backed by chemistry, and easy to use. It is a must-have for any professional or serious beer enthusiast.